Ben Higgins. Photo courtesy of abcnews.com. “Come at me bro,” said by who else but Olivia, a contestant on The Bachelor season 20. This was the quote of the episode, especially since Ben Higgins and many of the ladies came after Olivia last night. This episode of was so eventful I don’t even know where to start. It definitely could make the front page of celebrity news. From not having a rose ceremony last week and girls starting unnecessary drama this week, this episode did not disappoint, and I felt it was very pivotal to the season. So starting from last week, the big celebrity news was that there was no rose ceremony. We thought for sure Ben was going to send Olivia packing, however, we were all sadly mistaken and she got to stay for the episode (sigh) and Jennifer was sent home at the rose ceremony. After the first rose ceremony of the episode, the girls learn they are going to the Bahamas. The ladies find out that there will be three dates — a one-on-one date, a group, and a two-on-one. Caila gets the one- on-one date and Leah is mad about that because she’s never been chosen for one. However, Ben specifically chose Caila because he felt like he needed more one-on-one time with her. At first Ben says he is scared that Caila and him won’t click because she is too bubbly, however Caila tells Ben she is scared to be too vulnerable with him because she doesn’t want to hurt him (sounds like she needs to take a look at our relationship advice section). But she said that she truly feels like she loves Ben because he understands her. Ben likes that she is a mystery and keeps her around. On the group date, the ladies play with pigs in the ocean (another very creative date, that Ben came up with). That group date makes Ben uncomfortable because the ladies are starting to cause drama, and have attitudes toward Ben. Leah starts drama after the group date. She tells Ben that he and Lauren B. shouldn’t end up together because he doesn’t see what goes on in the house. Ben then talks to Lauren B. and she’s now scared that she’ll get sent home. However, Leah’s plan back fires as she is the one who gets sent home. For the two-on-one date Olivia is sent packing, FINALLY! After Olivia thought she could be seen for weeks in our celebrity relationship section, Ben is done with her antics and gives Emily the rose. 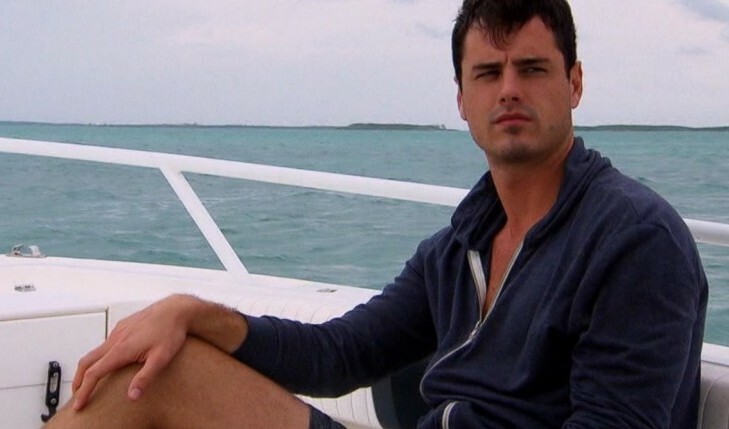 The episode skips right to the second rose ceremony as Ben cancels the cocktail party, and goes straight to the ceremony, where Lauren is sent home. So, who should stay or go next week? She’s my personal favorite, but ever since Leah started making up things about her and told Ben, I feel like Ben is going to have that in the back of his mind. Stay or Go: Sadly probably go. Even though Emily and I share the same name, and I’m usually a fan of girls that have the same name as me, I feel like she’s a little too sassy for Ben. Stay or Go: Hopefully she gets the boot soon. I think after this week’s episode she is in it to win it. Ben apparently likes confusing girls and really liked his date with her! Stay or Go: This is a big STAY! Even though she was not the star of this episode, she was certainly the start of the previous. I think Ben really connects with her too. Stay or Go: A definite stay. We are so excited to see what’s left for the rest of the season! The Bachelor airs on ABC on Mondays at 8/7c. Check back next week for our recap!